Little ones will love our range of Children’s Playhouses from our “Pixie Den” wooden playhouse to “The Chateau” can be found in this section. Our high quality wooden playhouses are built from strong materials and packed with safety features. 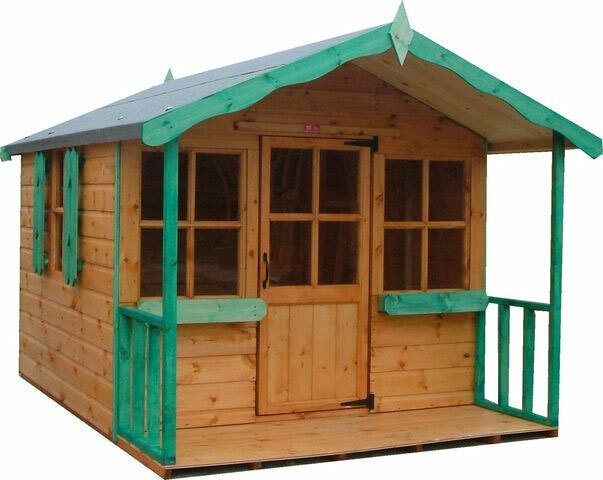 This collection offers fantastic quality garden playhouses for children. Manufactured by us, direct to you! With the manufacturing our sheds in Bradford, West Yorkshire we have hundreds of products in stock now and ready for a speedy delivery to your doorstep! We’re here to help. We have continual testimonials for our excellent service, delivery and fast and helpful responses to all enquiries. See facebook page and blog’s for an insight into the feeling of our customers about our products and services.